Mark W. Kieran, MD, PhD received his BSc degree in Biochemistry from McMaster University in Hamilton, Ontario in 1980 before completing his PhD in Immunology in 1983 from the University of Alberta, Edmonton, Canada, and his MD in 1986 from the University of Calgary. He completed postgraduate training in molecular biology at the Pasteur Institute in Paris, France. After a pediatric residency at McGill University in Montreal, he undertook a pediatric hematology/oncology fellowship and postdoc at Boston Children’s before developing the Pediatric Neuro-Oncology Program at the Dana-Farber Boston Children’s Cancer and Blood Disorders Center. 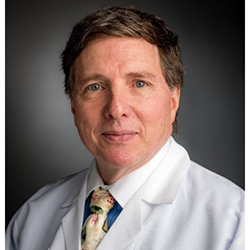 His primary clinical and research interest has focused on the genomic identification of mutations and development of new targeted therapies for children with brain and other solid tumors, leading to the development of a large number of first-in-pediatric clinical trials. In addition, he has also led multiple clinical trials for children with other diseases including the cardiac condition Pulmonary Vein Stenosis and the premature aging disease Progeria. Mark also maintained a basic laboratory focused on the tumor microenvironment and in particular, the co-regulation of treatment-based approaches and the resultant inflammatory response.